Feels like only yesterday that high-end cube enclosures were becoming all the rage. 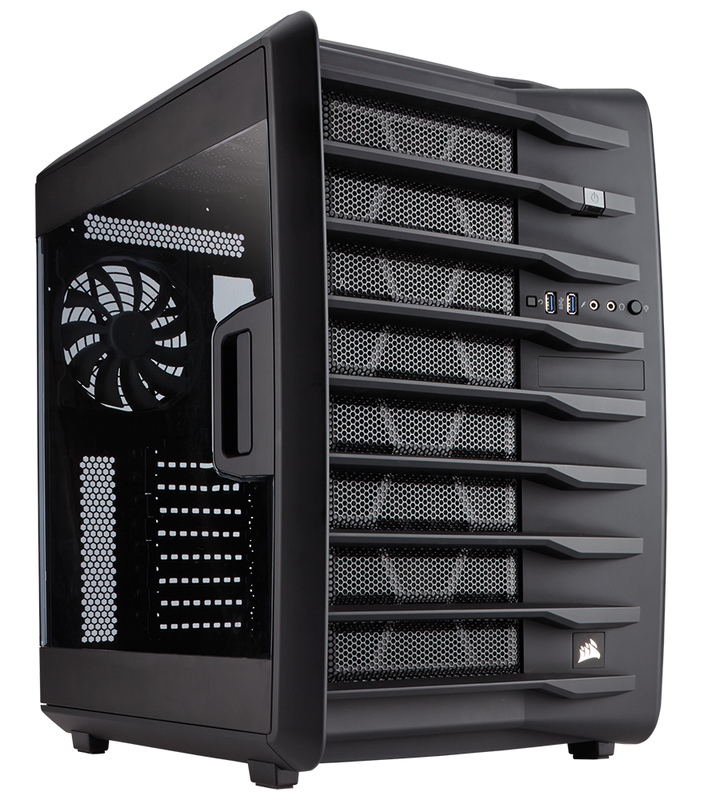 We still have fond memories of the Carbide Series Air 540, but said enclosure is now more than three years old, and Corsair is today launching a new-and-improved variant dubbed the Air 740. Priced at £135 and described as "an evolution on the award-winning Air 540," the new addition to the Carbide Series range continues to employ a cube form factor and introduces a few interesting upgrades along the way, and we've been able to spend some time getting to know the case. Our first reaction after unboxing was one of surprise at the Air 740's size. The 2013 predecessor wasn't exactly small at 415mm (H) x 332mm (W) x 458mm (D), but this year's upgrade is even bigger, measuring 426mm x 340mm x 510mm. 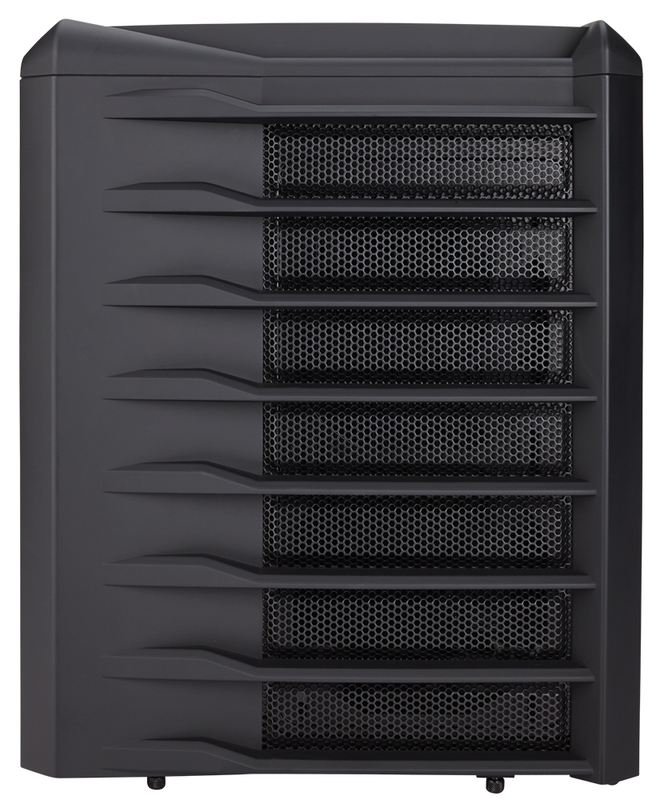 That makes it about as tall as most mid-tower solutions and significantly wider, meaning placement isn't exactly straightforward - the chassis is arguably too bulky to sit on top of a desk, and it takes up a fair amount of leg room beneath. 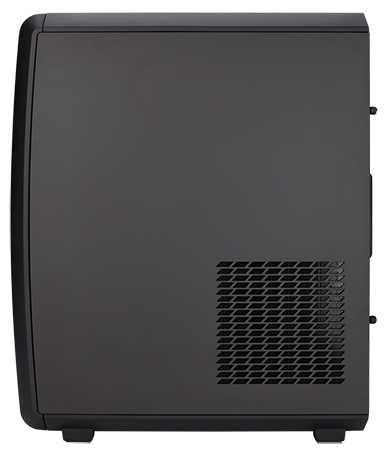 Given the size of the case, it's important to consider that the I/O ports are positioned on the upper-right section of the front panel. Ports include dual USB 3.0, a pair of audio jacks and the customary power and reset buttons. 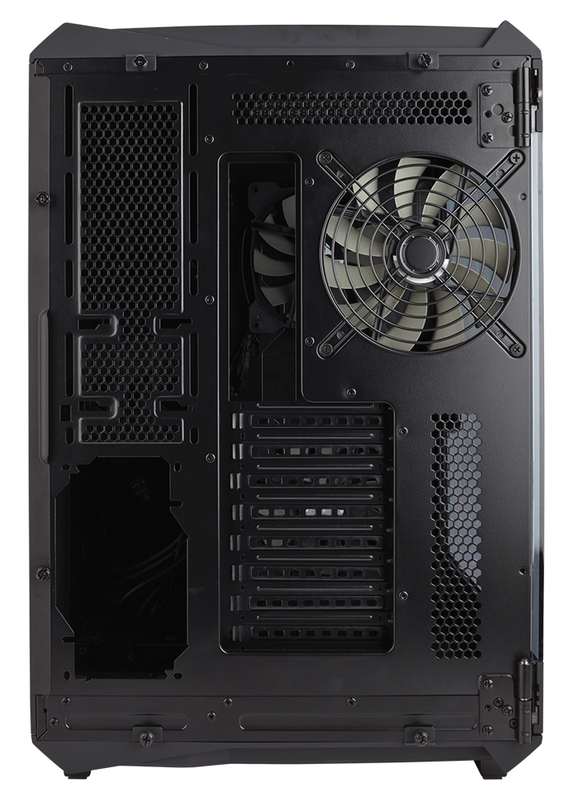 There's no USB Type-C, sadly, and the one other button - identified by a light-bulb logo - is reserved for Corsair's upcoming RGB fans. Said fans won't be included in the price, and the small cutout beneath the I/O ports is also for an optional extra - this section will eventually allow front HDMI passthrough for VR headsets via a separate accessory launching later this year. 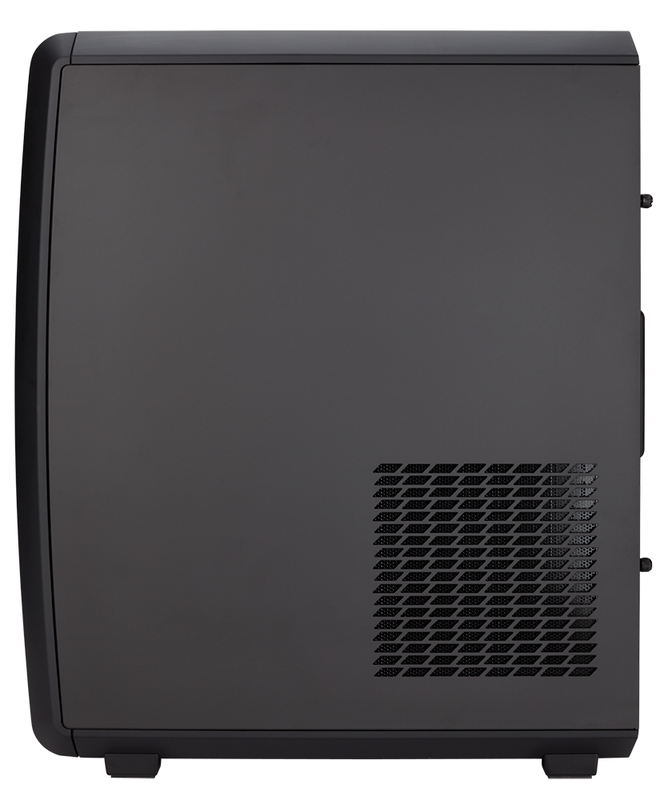 From a usability point of view, the most important upgrade is the windowed side panel, which is now hinged with a quick-release mechanism as opposed to being attached via thumb screws. 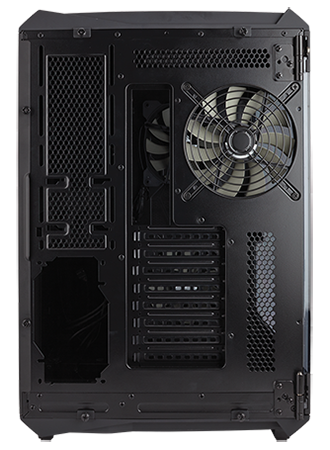 A major plus point if you make frequent trips to your PC's innards, and you needn't worry about damaging the door when building your rig as it can be lifted clean off its hinges. 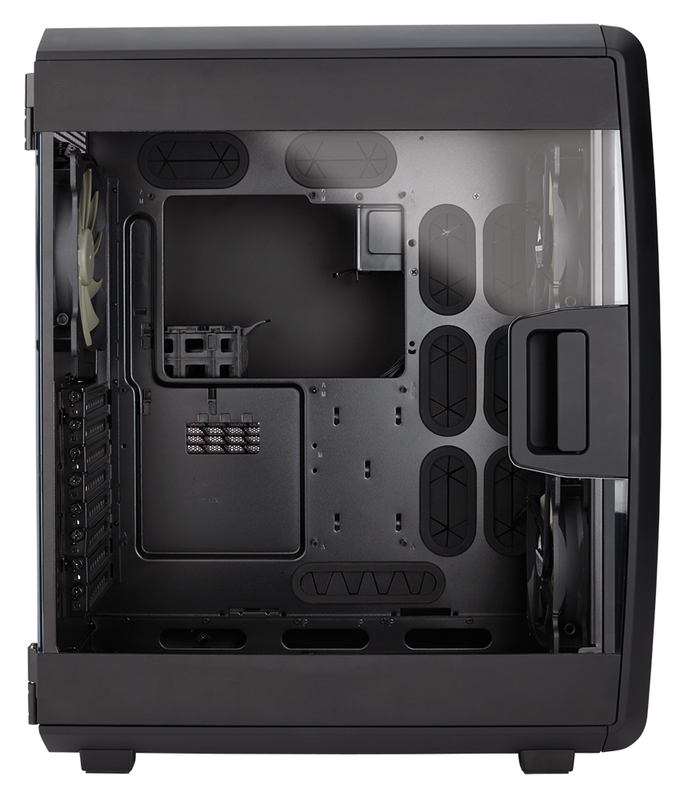 Another intriguing change is Corsair's design approach. The front of the cube is now curved, giving it a softer look that's in keeping with the velvety matte-black paintwork, yet while the styling is growing on us, we reckon we might have preferred the boxy look of the Air 540. What hasn't changed is the large sections of mesh ventilation. 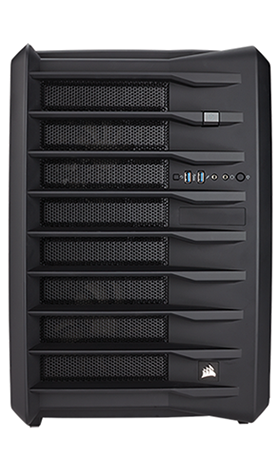 The front, top and underside are all adorned with mesh cutouts, yet while airflow shouldn't be a problem, do note that there is no sound-dampening material on any of the outer panels and the top and bottom are without dust filters. 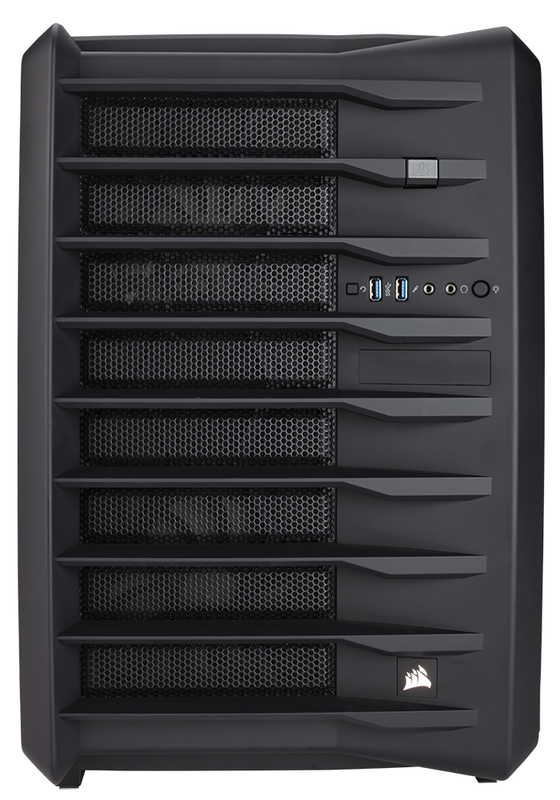 Air 740 is geared for performance rather than ultra-quiet operation, and cooling is the key attraction to a cube as roomy as this. 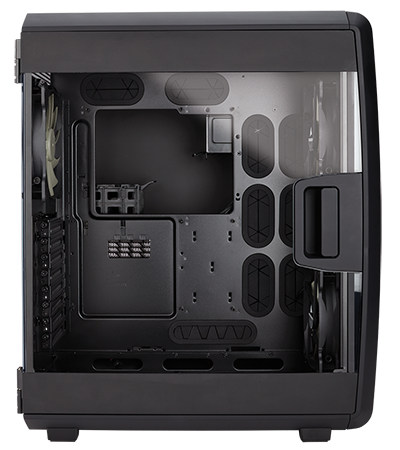 Corsair's dual-chamber layout is such that the ATX motherboard and its hot-running components are located in the actively cooled larger front chamber, while the power supply and storage devices are tucked out the way in the passively cooled rear chamber. 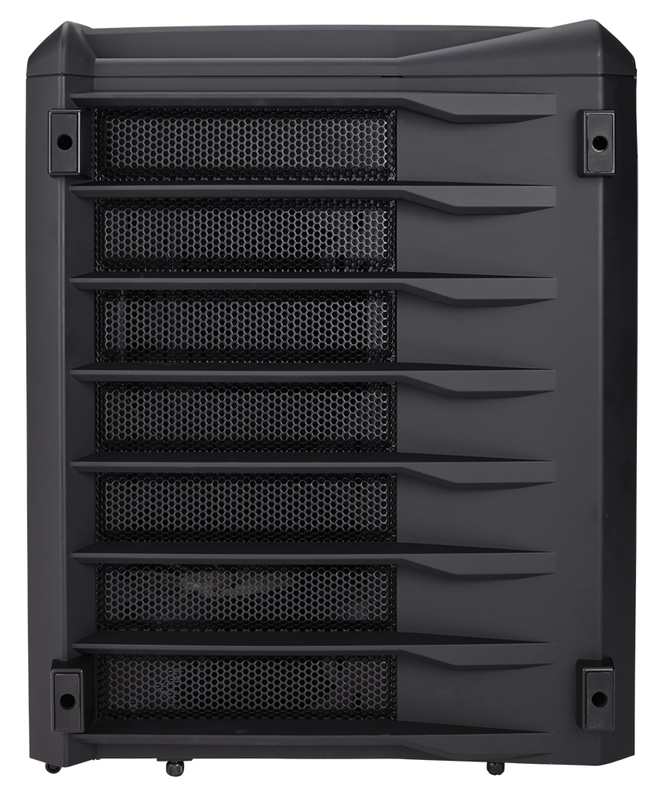 Such a layout makes sense if you employ numerous storage devices, yet with modern builds leaning toward, say, a high-speed M.2 SSD and perhaps an additional 2.5in disk, having roughly a third of the case dedicated to storage drives and a PSU could be deemed old-hat. And when you consider the amount of room available in this secondary area, it's puzzling to find that the Air 740 doesn't present a single 5.25in optical bay. The still-available Air 540 has two.